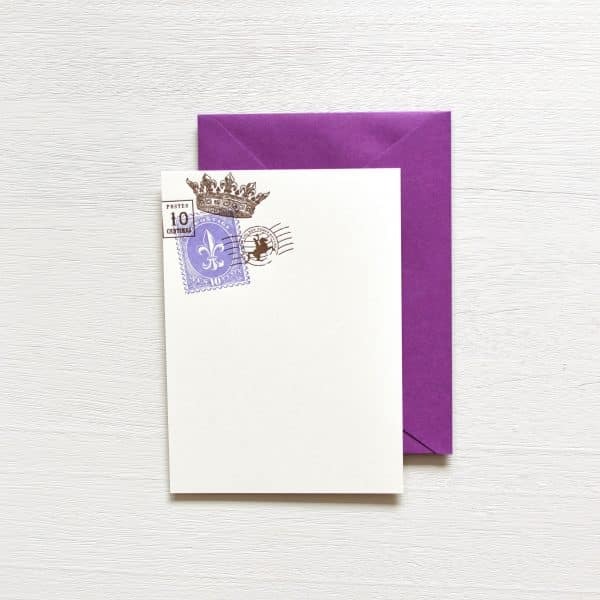 Inspired by vintage postmarks, this card features a crown along with a fleur de lis. It’s perfect for invitations, stationery, and royal proclamations of all kinds. 8 cards and matching purple envelopes.